Wild Bloom designs and builds environmentally friendly and water efficient landscapes. We use native or well adapted plants that are drought-tolerant and consider the effects of the landscape on soil, wildlife, and existing plants. We specialize in water-wise landscaping, native gardens, rainwater catchment, and lawn removals. Sustainable landscapes are easier to maintain, have healthier plants, use less water, and look great! It’s not just the sandy soils and stunning ocean views that make us grateful to work in Morro Bay. It’s also the creativity and friendliness of our clients there. 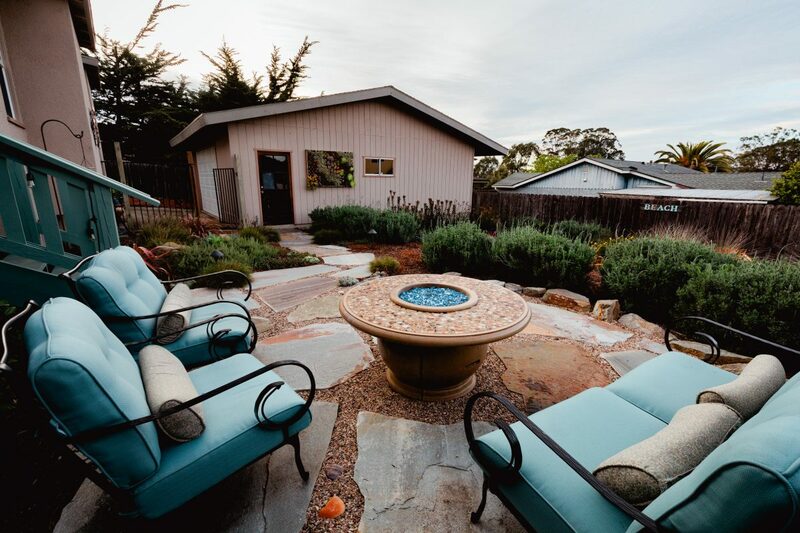 If you live in Morro Bay, you know how important it is to have a landscape that reflects and enhances the surrounding natural beauty of the coast. You also know how crucial it is in coastal environments to minimize the negative effects that conventional landscaping can have. Conventional landscaping can have a drastic impact through the use of synthetic fertilizers, misuse or disregard for water runoff, choosing non drought-resistant plants, and landscape designs that rely on excessive maintenance. Whether you live in the city of Morro Bay, along Highway 1, or up in the coastal mountains, give us a call today to learn how we can make your environment greener. Want to Learn More about Sustainable and Water-Wise Landscaping? Click here to learn about some of our favorite drought resistant plants. Click here to go to the City of Morro Bay’s water conservation page.